PANZER 38 (t) / GRILLE-MARDER III / GRILLE H/M PANZERJAGER 38 (t) . 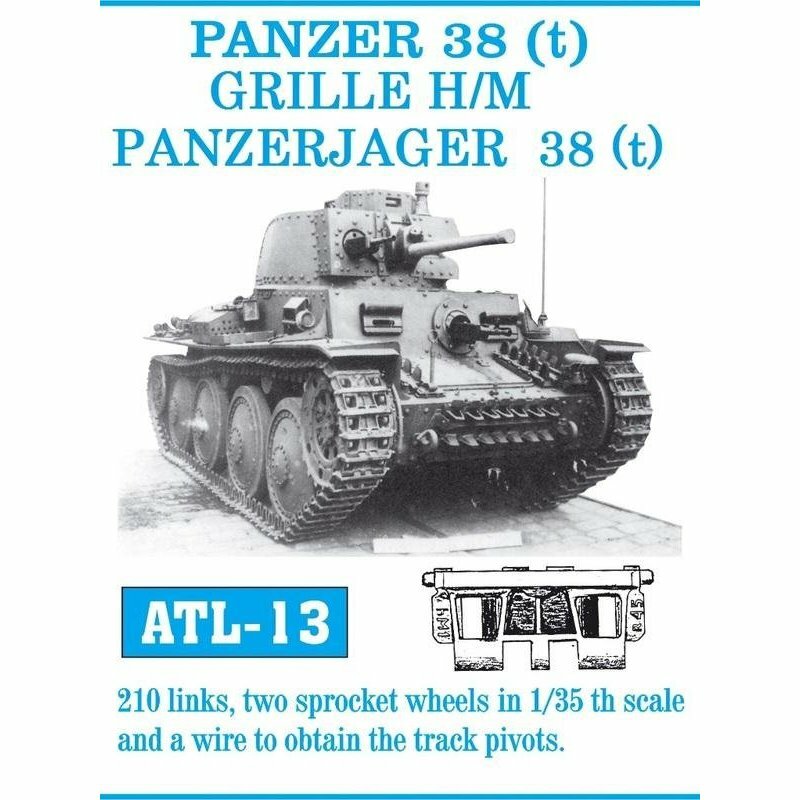 : 210 links, two sprocet wheels in 1/35 th scale and a wire to obtain the track pivots. Left and right track run.